While beautifully costumed brass and percussion bands paraded across Prague’s Charles Bridge, vociferously driving out wintertime, icy winter’s cold descended on the National Theatre’s stage as the Snow Queen tried to extend her power over innocent village youth. She fails, securing a happy ending. 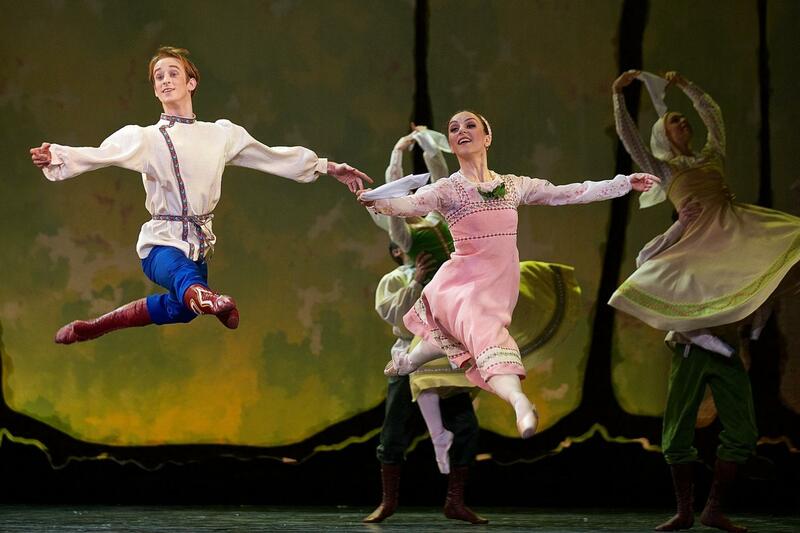 Over the years a number of choreographers have adapted Hans Christian Andersen’s popular story for the ballet stage. 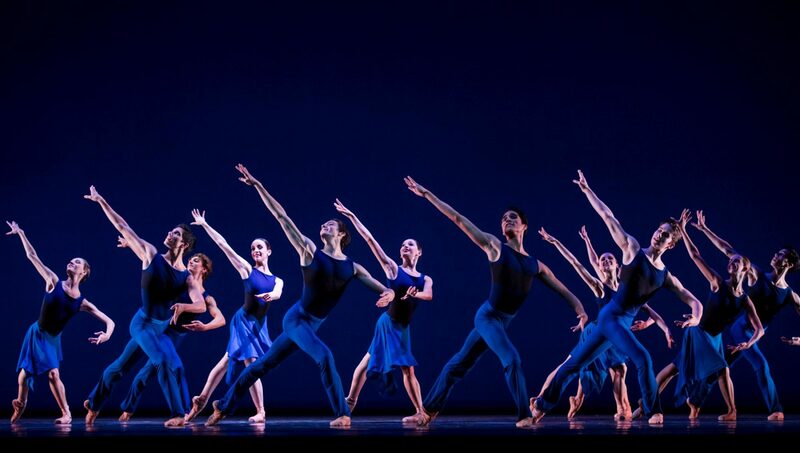 In spring 2016 the Czech National Ballet took Michael Corder’s version into their repertoire, which was created for English National Ballet in 2007. Corder tweaked the storyline, assigning the origin of the magic mirror to the wicked Snow Queen rather than to the devil, for example. Myriads of crystals sparkled from her dress, but she was unfeeling and cold as ice. Yet her claim on holding a realm of emotional permafrost is threatened. Glancing into the mirror, she sees a lovestruck young village couple – Gerda and Kay – in summertime instead of her own mirror-image. The Queen shatters the mirror, finds the whereabouts of the couple, freezes the heart of Kay, and distorts his sight with the magic splinters, changing his personality. He becomes rude and spiteful against Gerda and the villagers, stirs things up whenever possible, and, except for the faithful Gerda and her grandmother, no one wants to have anything to do with him anymore. Well, almost. One other person is after him – the Snow Queen herself. She entices Kay, seizes him, and abducts him to her ice palace. Numbed by emotional cold, Kay can only free himself if he manages to piece all splinters together and restore the mirror. An unsolvable task. But there’s Gerda. She searches for Kay, finds him in the palace and frees him from the Snow Queen’s control through her love’s warmth. Happily reunited, the lovers are welcomed and hailed by the villagers. 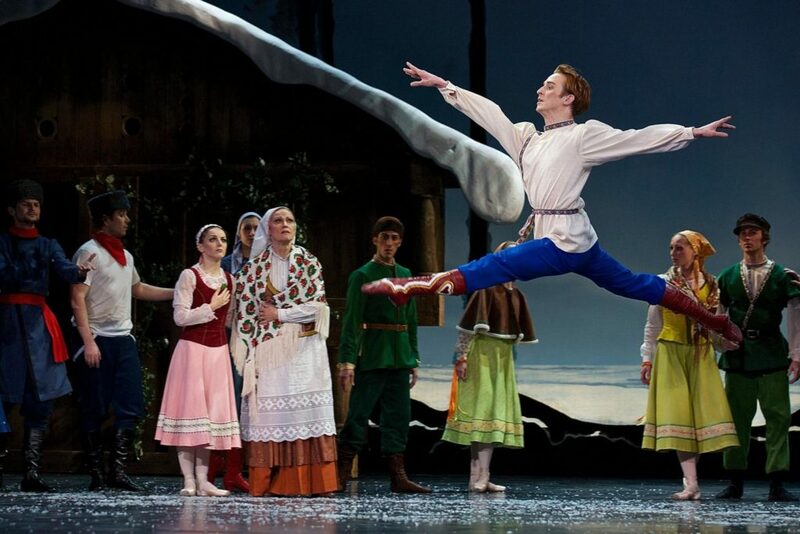 The set for the romantic, vibrant village had warm colors and rustic, rose-clad timber cottages, and the dancers wore peasant’s attire, while the ice kingdom was white, glistening, and icicled (set and costumes by Mark Bailey). Although the ice palace looked a bit too plastic, the moment when the Queen’s power was broken and the ice started to melt was effective. From time to time a flurry of snow flakes swirled through the air or little, sharp-edged ice sheets hailed down. The Snow Queen (Alina Nanu) danced using a limited range of movements which she repeated like a mantra. The mini-halts between her arabesques and développés made her movements look regal, but fragmented. Her court, populated by elves, two white foxes (Irina Burduja and Sophie Benoit), and two white wolves (Giovanni Rotolo and Jiří Kodym), had a touch of Walt Disney. It either danced unspectacular, mirror-imaged patterns or, standing in lines, surged towards the audience like one would expect in a musical. If not sitting motionless on her throne while brooding or watching the dances, the Queen waited to be lifted and carried around by her wolves. Up in the air she posed like a sphinx or plunged like an attacking hawk towards the brave Gerda (Marta Máchová Drastíková), preventing her from approaching Kay (Matěj Šust). But why the Queen and her entire entourage completely left the scene at the decisive moment, allowing Gerda free access to her beloved one, was incomprehensible. One surprising maneuver of the Queen happened in Act I, after she had poisoned Kay’s eyes, heart and mind with her icy kiss. Suddenly, she jumped onto his back and, wrapping her legs around his neck, clung tightly to him as if putting him into a vise. 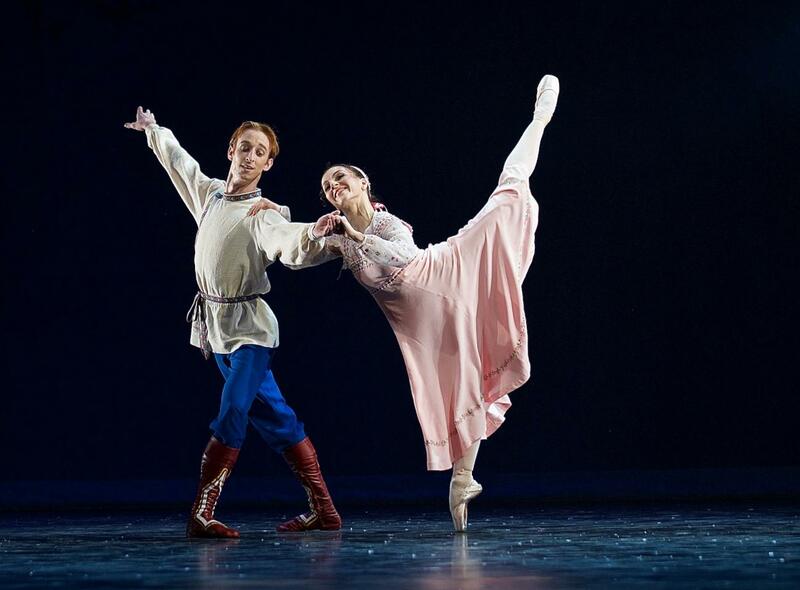 That the romance between Gerda and Kay didn’t touch one’s heart wasn’t due to the dancers, but was because of Corder’s overall unimaginative choreography. Apart from the few times, Kay swirled Gerda around at knee-height, their pas de deux seemed constructed straight from a cookie-cutter. The steps were all too predictable, the energy remained on the same level, and there was neither an arc of suspense nor room for spontaneity. 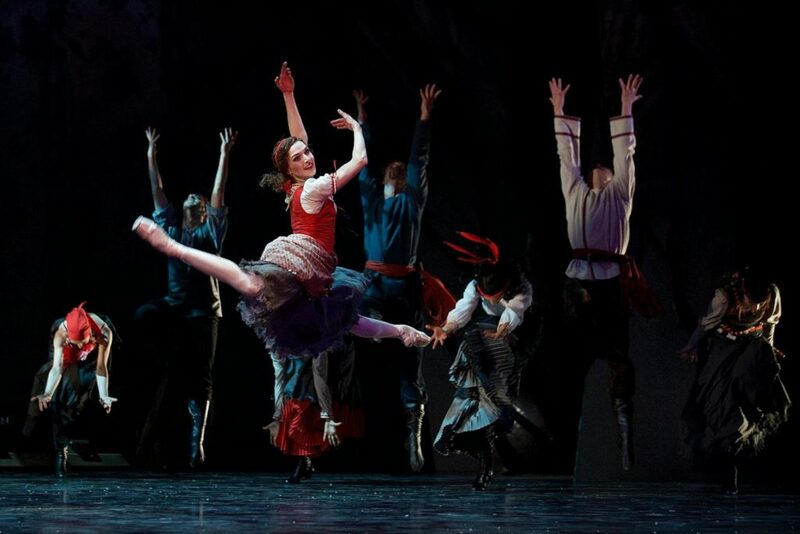 Máchová Drastíková’s Gerda reminded one of Solveig in Peer Gynt, as she waited for the missing Kay, blowing kisses towards the four corners of the earth. But her character had less depth. In her solos, Máchová Drastíková looked freer and let more go than together with Šust. His Kay fed their relationship with emotions, warmth, and charm. Šust may not be an inborn jumper, but he has drive, is a good actor, and knows how to breathe life into a role. The village youth enjoyed itself in decent, jolly folk dances, while the gypsies – a sassy and pushy bunch led by a knife-wielding crone – with every gulp of alcohol showed themselves off more and more wildly. 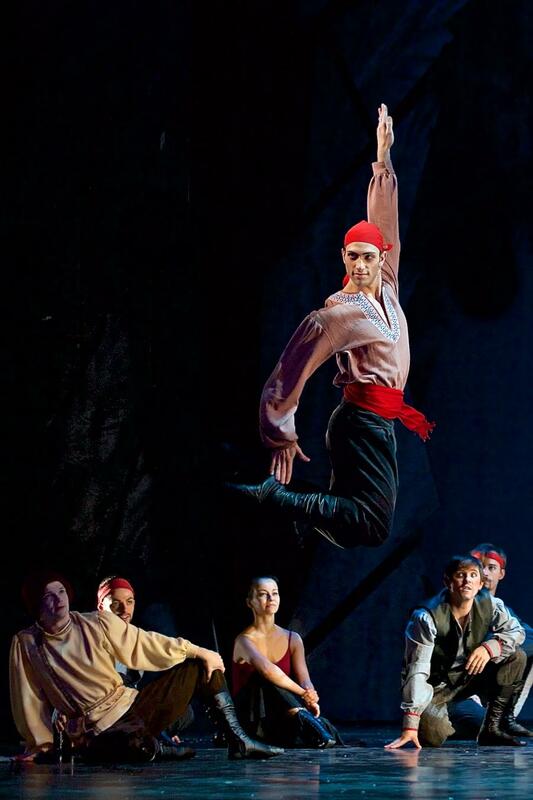 Veaceslav Burlac portrayed their chief daredevil, a coarse, quick-tempered macho, whose bold jumps and turns sparked off the others. Their dervish-like whirls and spunky jumps inflamed the atmosphere. The gypsies added a dark, aggressive element to the rural idyll. 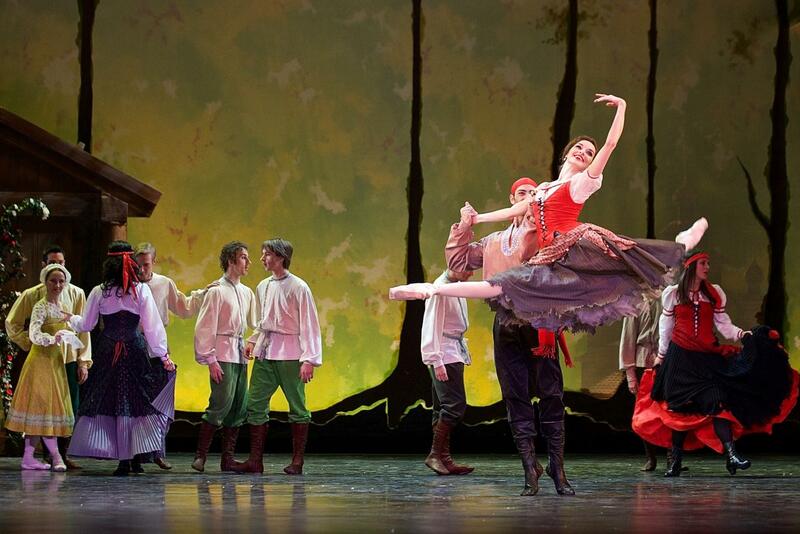 But one gypsy-girl (Mária Dorková) had a good heart. She made friends with Gerda, protected her from the men’s intrusiveness, and secretly lent her the band’s snub-nosed reindeer (Domenico di Cristo) for her search for Kay. Sugary cute, it could have sprung directly from the Disney zoo, but like Gerda it was clueless about what to make of the vague directions a muffled-up Lapland girl (Cornelia Seibold) gave them in the course of their journey. Nelly Danko was Gerda’s caring grandmother. Her joy at the safe return of Kay rippled like a wave through the auditorium. Federico Ievoli and Jiří Waňka personified roses which accompanied Gerda’s dream of Kay and the bygone happy summertime. 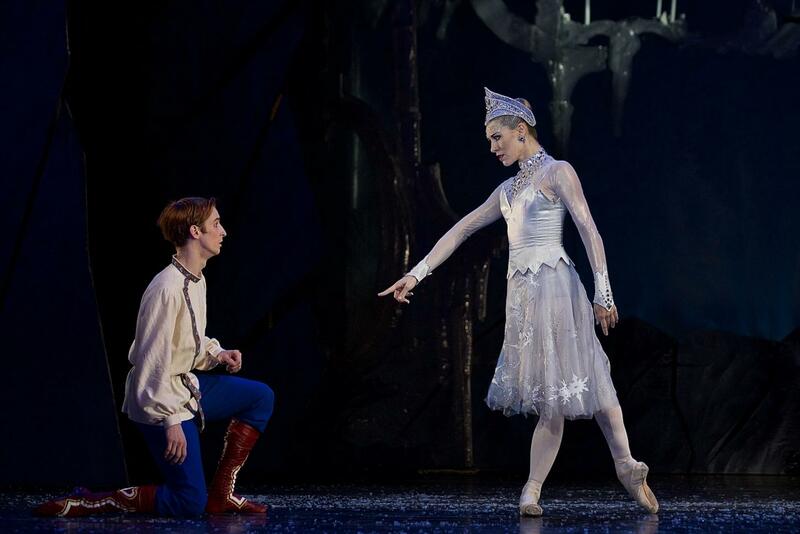 “The Snow Queen” uses various music by Sergei Prokofiev in an adaption by Julian Philips. Two-third of the music was taken from “The Stone Flower” and mainly accompanied the Snow Queen. Other excerpts were from the operas “War and Peace” and “Betrothal in a Monastery”, and from the “Symphony No.5”. Music is the soul of the metropolis says the official German tourist website for Prague. Alas – during Saturday’s performance Václav Zahradník and the State Opera Orchestra seemed to have sometimes lost this spirit.